Stops sudden aggression in dogs for immediate and fast relief. 100% natural, 100% guaranteed. Do you want to get rid of your dog’s aggressive behavior? Don’t expect the vet to do it – but if you want to eliminate your dog’s aggressive and strange behavior for good, you’re at the right place. Detoxapet works fast and stops the aggressive behaviour and mood swings fast by targeting the irritants and triggers and causative agents that cause aggression, that slowly build up in your dogs liver, body, and organs of your dog and eliminates them from your dog’s body. It stops the aggression, pain and growling that are making her feel uncomfortable. Returns your dog back to his or her old self, and fast. It also completely repairs, revitalizes and refreshes the skin, repairs, modulates immune functions, digestive and gastrointestinal functions. It also stops the allergies and restores youthfulness, and vitality. It completely revitalizes your dog’s youthful and playful spirit. And puts that sparkle back in his eyes. 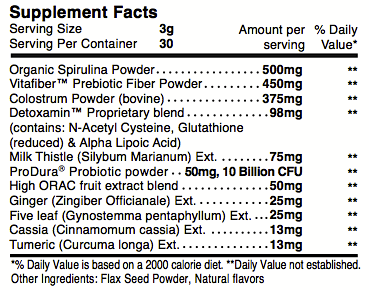 Repairs cellular functions, increasing the bio-nutrient absorption. Each individual scoop of Detoxapet™ Powder contains: essential vitamins, minerals, colostrum, Produra® probiotics (10 billion CFUs per scoop), spirulina, prebiotics, antioxidants, special amino acids, enzymes, proteins, and healing cofactors. It also contains polypeptide’s, phytonutrients, powerful healing herbs and other important co-factors, disease fighting agents, b-vitamins, and is jam-packed with omega 3-6 fatty acids. It increases playfulness, and gives your dog a whole new lease on life. Easy peasy! Immediate benefits! 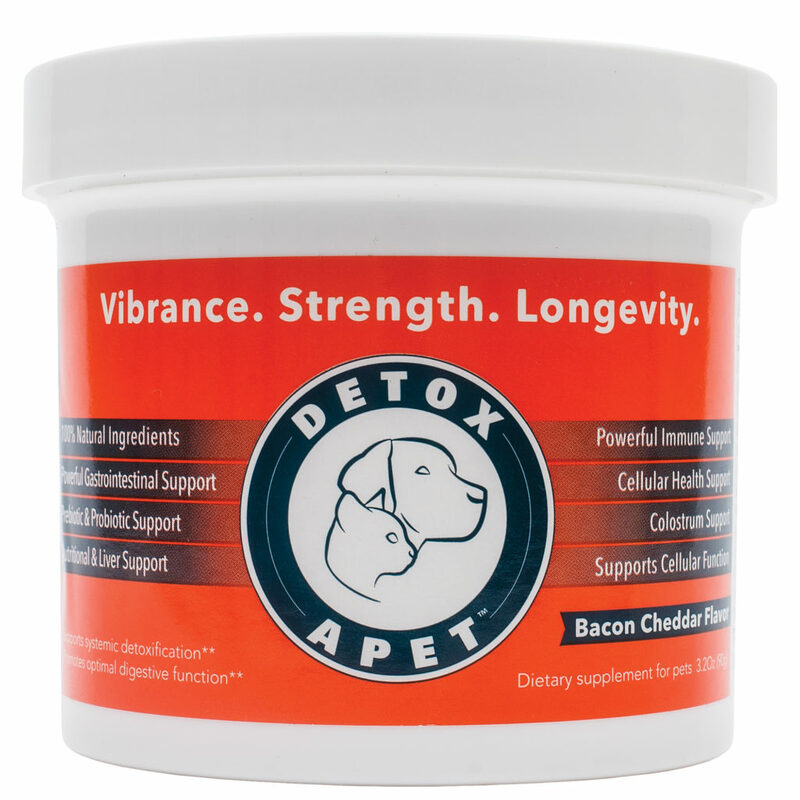 Just mix Detoxapet Powder in your dog’s food, it’s 100% natural and has a tasty bacon-cheddar flavour (vegan), and it’s 100% guaranteed – or your money back. Let’s get started on healing your dog. Each unit is a 30-day supply for most dogs, and contains 30 individual scoops (scoop provided). Should you have any questions, call 801-876-1783. Our only goal is to end your dogs aggression and suffering – and fast. We are more than willing to address customer inquiries, concerns & questions. Feel free to reach us at support@detoxapet.com or by calling us at 801-876-1783. QUALITY INGREDIENTS - NO INGREDIENTS FROM CHINA. ALL ingredients used in Detoxapet™ are sourced from our own reputable suppliers and manufactured from within the United States of America.